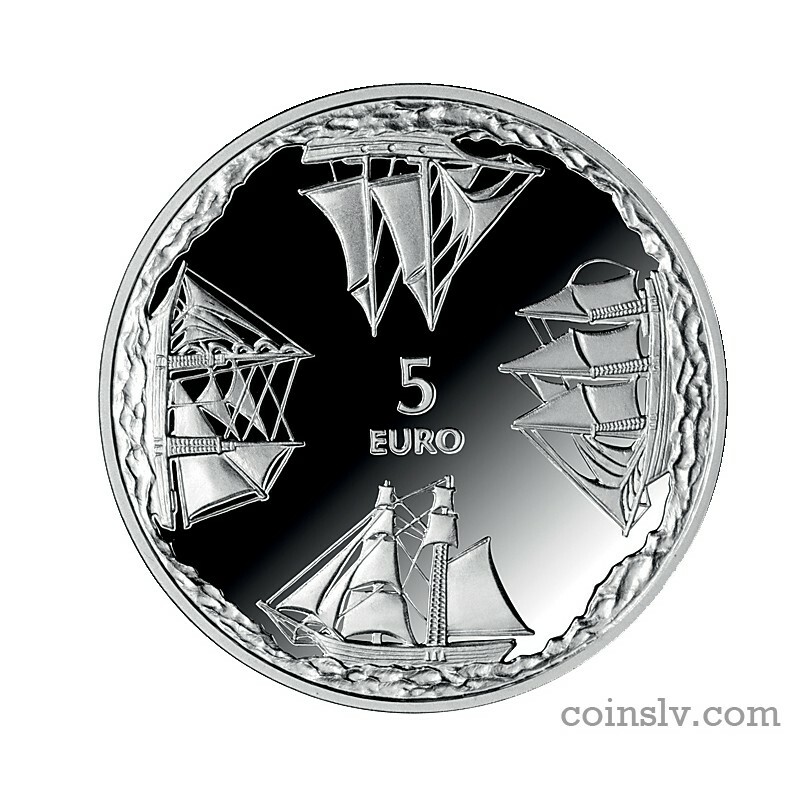 Latvia 5 euro 2014 "Ainazi Nautical School"
Obverse: The number 5, with the inscription EURO beneath it, is placed in the centre. 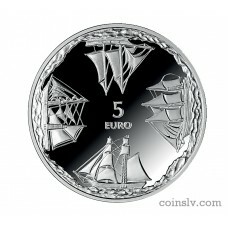 Four sailing ships are symmetrically arranged along the outer ring of the obverse. Reverse: The central field features a compass, with an element painted red and pointing to the North. 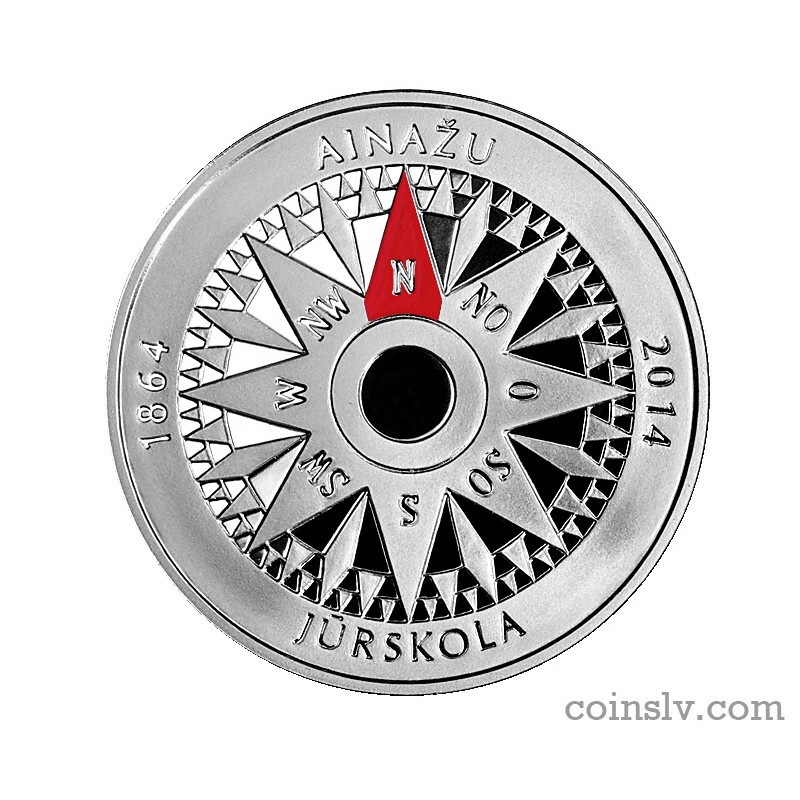 There are semi-circled inscriptions AINAŽU at the top and JŪRSKOLA at the bottom, and the years 1864 and 2014 on the left and right respectively. 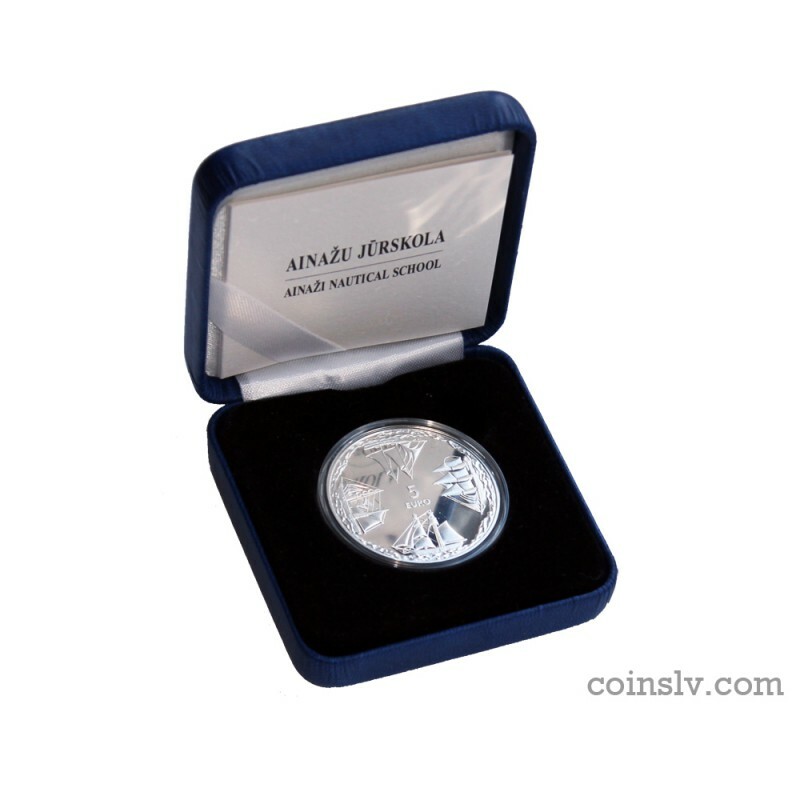 Edge: The inscriptions LATVIJAS BANKA and LATVIJAS REPUBLIKA, separated by rhombic dots.